After last year’s utter show-stopper I wasn’t really looking forward to tasting this year’s offering, truth be told. How could it leave me totally speechless ? How could it be flawless? I should have had more faith! A hushed awe fell over our merry band of tasters as this legend drew us into its profound depths. Such power, but with such incredible precision and intensity – any form or combination of descriptive words just doesn't do it justice. It had the same effect on us as last year but very different in way. Last year the generous, voluptuous, seductive puppy fat of the vintage lay majestically over the fine tannins and elegant structure of the wine. This year the incredibly fine tannins encapsulate the rich, ripe, round and dense perfect core and a finish that's almost never ending. A sensational double triumph, it’s up there with Ch. Margaux as the wine of this incredible vintage. The Wine Advocate - One of the perfect wines of the vintage, Frederic Engerer challenged me when I tasted the 2010 Latour at the estate, asking, If you rate the 2009 one hundred, then how can this not be higher? Well, the scoring system stops at 100, (and has for 34 years,) and will continue for as long as I continue to write about wine. Nevertheless, this blend of 90.5% Cabernet Sauvignon, 9.5% Merlot, and .5% Petit Verdot hit 14.4% natural alcohol and represents a tiny 36% of their entire production. The pH is about 3.6, which is normal compared to the 3.8 pH of the 2009, that wine being slightly lower in alcohol, hence the combination that makes it more flamboyant and accessible. The 2010 is a liquid skyscraper in the mouth, building layers upon layers of extravagant, if not over-the-top richness with its hints of subtle charcoal, truffle, blackberry, cassis, espresso and notes of toast and graphite. Full-bodied, with wonderfully sweet tannin, it is a mind-boggling, prodigious achievement that should hit its prime in about 15 years, and last for 50 to 100. Jancis - The 2010 Ch Latour is 90.5% Cabernet Sauvignon, 8.5% Merlot, and a drop each of Cabernet Franc and Petit Verdot. 36% of total production. Extremely dark purple. Again, more ‘glamour’ than I expected. Especially on the nose. Very ambitious and gorgeous. Thick and dense and hugely long term and dry on the end. Spices – something quite Asian about this – a hint of Szechuan pepper. Explosive. Super dry and introvert but with great velvety texture. So introvert and super dry, super Latour. Monumental. The massive fruit lurks underneath the very ripe tannins at the moment. IPT 83, less than Les Forts, but it tastes much firmer. Wine Spectator - Lush and layered, with nearly endless fig sauce, currant compote and blackberry cobbler notes, wound with cocoa, espresso and charcoal. This wine is seamless, despite its power and range, with hints of violet, blood orange and spice box flittering in. Parker - One of the perfect wines of the vintage, Frederic Engerer challenged me when I tasted the 2010 Latour at the estate, asking, “If you rate the 2009 one hundred, then how can this not be higher?” Well, the scoring system stops at 100, (and has for 34 years,) and will continue for as long as I continue to write about wine. Nevertheless, this blend of 90.5% Cabernet Sauvignon, 9.5% Merlot, and .5% Petit Verdot hit 14.4% natural alcohol and represents a tiny 36% of their entire production. The pH is about 3.6, which is normal compared to the 3.8 pH of the 2009, that wine being slightly lower in alcohol, hence the combination that makes it more flamboyant and accessible. The 2010 is a liquid skyscraper in the mouth, building layers upon layers of extravagant, if not over-the-top richness with its hints of subtle charcoal, truffle, blackberry, cassis, espresso and notes of toast and graphite. Full-bodied, with wonderfully sweet tannin, it is a mind-boggling, prodigious achievement that should hit its prime in about 15 years, and last for 50 to 100. 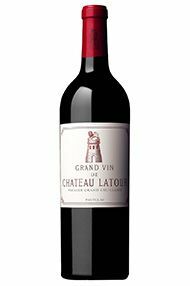 Decanter - Chateau Latour, reveals a sensational depth of colour, incredible sweetness and ripeness of fruit, but very massive now. 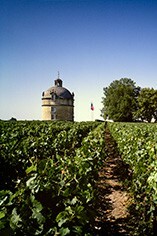 A monumental expression of the Latour vineyards. sweet spice, vanilla oak and dark black fruits are thickly entwined on the palate here.